Tell me something, why do perfectly fine and accredited universities align themselves with shady start-ups in far-flung corners of the world? I ask this question because a week ago I came across an article in the NYT “An Albanian College Relying on U.S. Cachet” that speaks of exactly this very issue. Just the opening paragraph introducing this Albanian College as situated in a “dingy backstreet” in the Tirana, the Albanian Capital, is enough to give you the creeps. Yet, there it is: The University of New York, Tirana boasting an “arrangement with Empire State College, a division of the State University of New York system that is based in Saratoga Springs and is devoted to adult education and non-traditional learning.” Mind you, these “arrangements” are not unique to our accredited U.S.- based institutions. We are not alone; our counterparts in Britain and Australia are just as busy setting up “arrangements” with private education providers in the developing world. An alumnus of the University of NY, Tirana, now attending Southern Methodist University in Dallas, complained that the courses he had taken were on a par with high school level subjects offered at an American high school. And that says a lot! It’s not about the content of courses and teaching staff, it’s the fact that a degree from an institution with an American-sounding name carries a great deal of cachet in a place such as Albania. These so-called “arrangements” got a once-prominent academic institution, the University of Wales (founded in 1893), into hot water, so hot that it lost its accreditation in 2011 and was completely abolished. Thanks to an investigation by the BBC (nice to see journalism doing what it is meant to do–but I digress) which discovered that the University’s validation of programs offered by Fazley International College in Malaysia was being used to fraudulently award degrees and was even allowing students to obtain visas in order to work in the U.K.
Of course, these chummy arrangements are all about money. 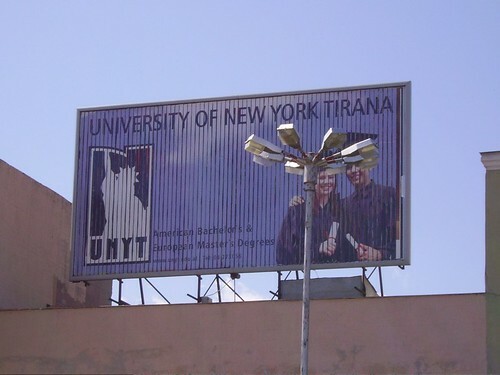 Students at the University of New York, Tirana pay more than $32,000 and for “an extra $100 or so per credit hour,” students taking classes in English can graduate and receive an American diploma. The same alum mentioned above says the following in the NYT article: “We didn’t even learn how to use a financial calculator. You are graduating with a degree in finance, and you don’t know how to use the calculator.” Here’s what Kevin Kinser, an expert on cross-border education at SUNY Albany is quoted as saying for the University of New York, Tirana, that the “connection with Empire State College is a way of developing legitimacy – a branding issue.” Someone’s definitely paying someone for the brand name or being associated with the brand. I’m reminded of the saying “you are who you associate with,” and it seems it’s alive and well at our institutions of higher learning. Desperate for the almighty dollar, they are willing to give a part of themselves away, undermining their own credibility, and perhaps even contributing to their own demise. Let’s not forget what happened to the University of Wales. 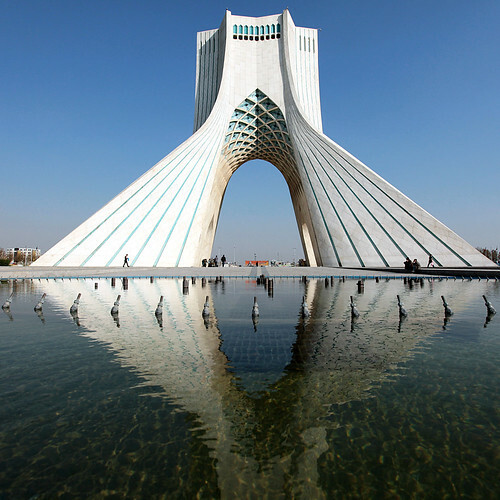 As the U.S. and Israel increase the volume of their threats of war against Iran, Iranians in the diaspora and those living under the theocratic stranglehold of the Islamic Republic celebrated the arrival of the Persian New Year on March 19th at exactly 10:15 PM PST. The celebration of Now-Ruz (New Day), takes effect at the exact astronomical beginning of Spring, known as the vernal equinox. Now-Ruz has been celebrated for nearly 3000 years. Its rituals and traditions date back to Zoroastrianism, the ancient Persian religion that existed until 7th century A.D. before the Arab invasion and the enforcement of Islam. In preparation for Now-Ruz, Iranians embark on the spring-cleaning of their homes, even make or buy a new set of clothes (my brother and I loved getting a new outfit or two), and bake pastries in anticipation of visiting guests when gifts are exchanged and feasts enjoyed. The rituals surrounding the celebration of Now-Ruz are rich with symbolism and ceremony. They begin on the last Wednesday of winter with Chahar-Shanbeh Soori (Eve of Wednesday), a fire-jumping festival, where people create small bonfires in their neighborhoods and jump over them as the sun sets. Parents join in with their children and jump over the flames inviting happiness and abundance while releasing and letting go of darkness and negativity by chanting: “Offer me your lovely red hue and take away my sickly pallor.” With fire signifying light (day), the symbol of all that is good, and dark (night), the unknown and all that is evil, celebrants partaking in the fire festival look forward to the arrival of spring bringing longer days and new beginnings. As a child growing up in Iran, I remember the minstrels or troubadours, known as Haji Firuz, who sang and danced in the streets dressed in bright red and yellow satin poufy pants and shirts, spreading good cheer and bringing merriment to neighborhoods. Another tradition, somewhat resembling the trick-or-treat of Halloween, included young men who disguised themselves as women under chadors (long veils) and went from street to street banging on pots and pans, shaking tambourines and raising raucous. All this was done in jest as seeing a boy or young man in such a disguise invited laughs and more laughs. Now-Ruz celebrations last for 13 days. As a child, Now-Ruz meant a school holiday lasting for 13 days. In fact, most businesses throughout the country would shut down for the duration of Now-Ruz. Everyone was on holiday! A major feature of Now-Ruz is the preparation of “Haft-Seen,” (seven “S’s”); a special display of seven specific offerings each beginning with the letter “S” in Farsi. 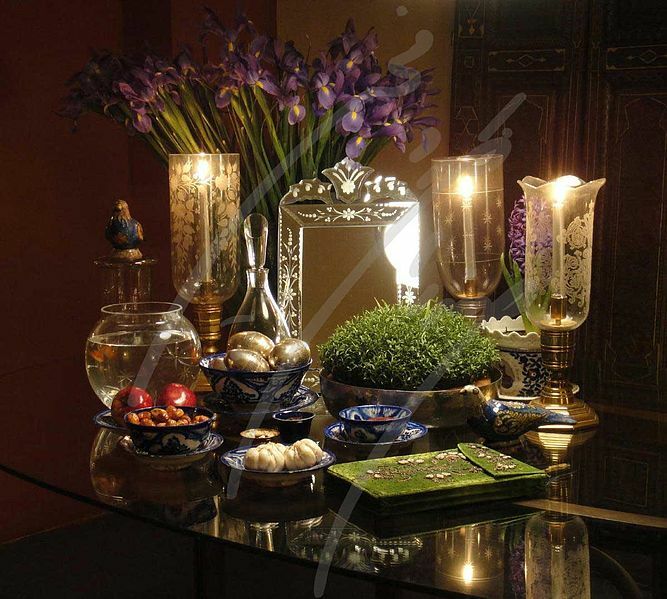 Typically, the “Haft-Seen” includes the following: “seeb” or apple (promotes beauty and good health), “seer” or garlic (wards off bad omen), “samanou” (a sweet pudding, symbolizing affluence), “sabze” or wheat-germ (representing rebirth) grown in a flat dish a few days before the New Year, “sek-keh” or coin, preferably gold (for wealth and abundance), “senjed” (dried fruit from lotus tree, symbolizing love), and “somagh” or sumac (color of sunrise). In addition, there will also be a mirror (symbol for the sky), a goldfish in a bowl (life force), lit candles symbolizing fire and promoting enlightenment, colored eggs (symbol of fertility corresponding to the mother earth), sweets to spread sweetness and a book of poems by Hafiz or Rumi. The Now-Ruz festivities end on the 13th day known as “Sizdah Bedar” (out with the 13th), and it is celebrated outdoors. Staying indoors is seen as a bad omen and families spend the day outside in parks and in the countryside near streams, rivers, and lakes, enjoying a festive picnic. The “sabze” or plate of wheat-germ that was the centerpiece of the Haft-Seen is taken on this picnic so that young unmarried women wishing for a husband will tie a knot between the green shoots (symbolizing a marital bond) and toss it into running water. Despite the Islamic Regime’s attempts to do away with Now-Ruz, calling it un-Islamic and pagan, the ancient tradition of celebrating the arrival of Spring continues in Iran. The Iranian people have endured and survived invaders and conquerors like Alexander the Great, Genghis Khan, and with time will overcome the Muslim conquest. 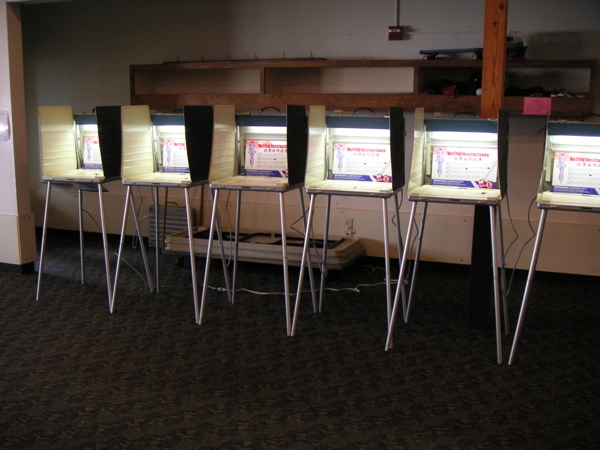 Turning Our Back On Education: Way to go America! Why is this happening? For the past twenty-five years, the states have withdrawn from higher education and slashed financing for colleges during and immediately after the last few recessions. And even when the economy did recover, the states never restored the money that had been cut from education and now with the current recession the problem has been amplified. According to Ronald G. Ehrenberg, the director of the Cornell Higher Education Research Institute and a trustee of the State University of New York System: “There has been a shift from the belief that we as a nation benefit from higher education, to a belief that it’s the people receiving the education who primarily benefit and so they should foot the bill.” Really? Is this what we’ve become as a people and as a nation? So the nurse graduate who received four years of education and practices as a registered nurse is the sole beneficiary of her education? What about the patients whom she tends to and the medical centers which use her services? Don’t they too benefit? How can we be so crass as to think that all that we do is for our own benefit and has absolutely no impact or ramification on the people around us, the community, the environment, the world? How dare we operate from such an ego-centric mindset? In fact economists have found that higher education benefits communities even more than the individual with the degree. Let’s not forget the G.I. Bill which helped bankroll the college education of Americans following the post- World War II economic boom. An educated people help the economy grow faster and foster a more stable democracy and aid the neediest workers. By cutting funds, states reduce the ability for the poor to receive an education and more training to prepare them for skilled labor. They also limit access to the field such as sciences, engineering and health care that are most important to economic and job growth. 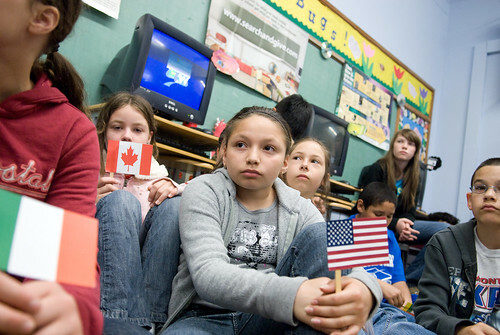 As an educator and one who deals with domestic and international students, I am dumbfounded as to how our country turns its back on these key educational programs. President Obama speaks for keeping America on the forefront of science and engineering so that we can remain competitive with the rest of the world, yet at the same time funding is taken away from the very programs that will train and nurture future scientists, engineers and health practitioners. What does this mean? It means that US would have to recruit its scientists, engineers, nurses and doctors from overseas, diminishing the chances of US students from pursuing studies in these fields and ultimately finding gainful employment. So the next time xenophobia kicks in, and angry fingers are pointed at skilled and educated professionals immigrating to the US who’re filling engineering and health care positions, best we take a good look in the mirror. The problem is not “them” but “us” and our collective attitude and diminished respect for education and the teaching profession.